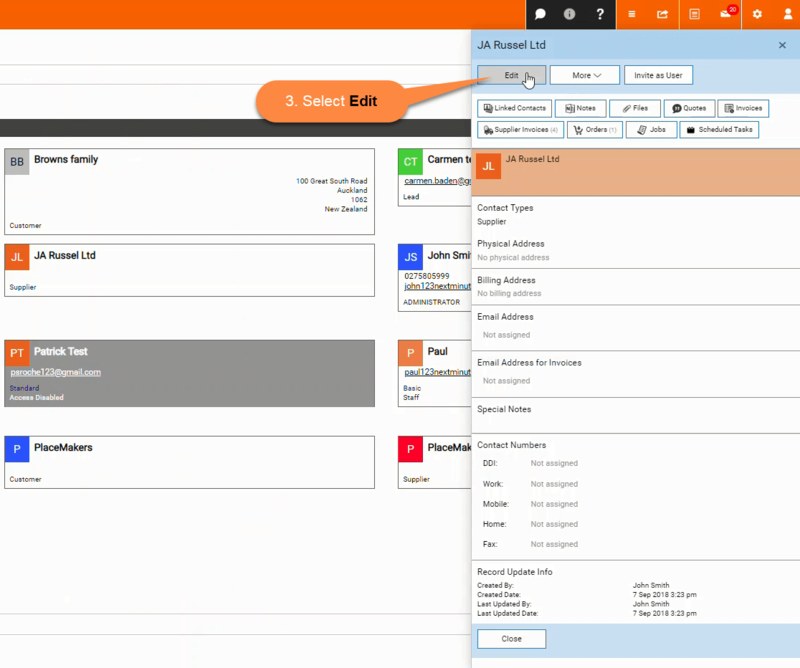 Assign Contact Types to a contact - Desktop – Welcome to the NextMinute support and feedback centre. You can assign more than one Contact Type to a contact. For example a contact might be a Customer AND a Supplier. Or a staff member may be a Welder AND a Gas Fitter, or a Senior Engineer and a Contractor. 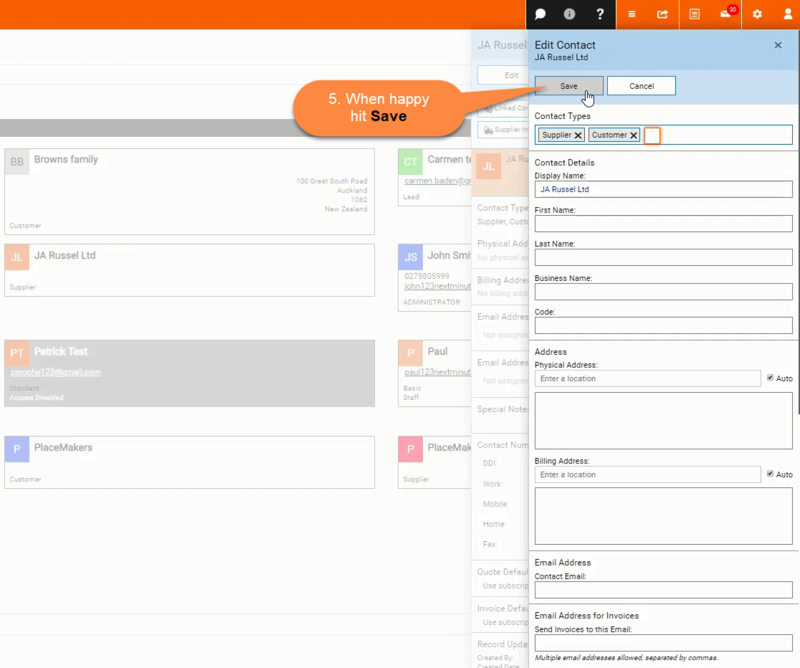 Doing this allows you to filter your contacts by one or more Contact Types you've assigned. This will help you finding the appropriate resource. You would use this feature to find Contacts from the Contacts List or when you are in the Calendar and want to view Tasks assigned to Contacts by Contact Type. 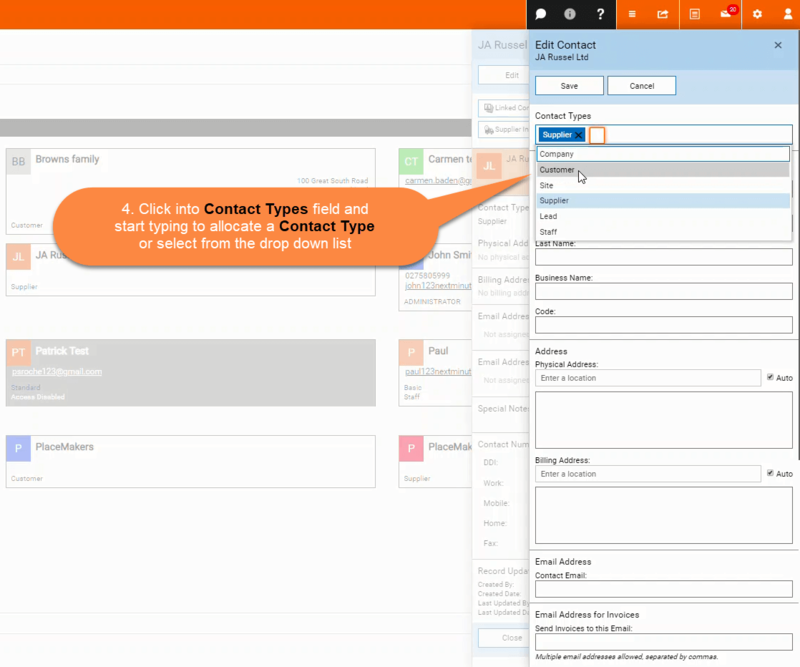 Step 2: Select Edit and Click into the Contact Types field to assign one or more Contact Types for your contact. Your contact type will now be shown within that contact, as shown below. NOTE: If you need to add contact types, click Admin, scroll down to Lookup Lists and select Contact Types.